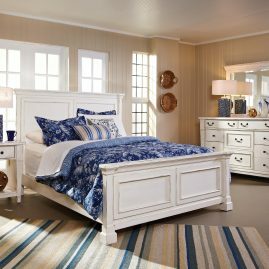 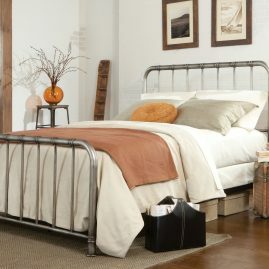 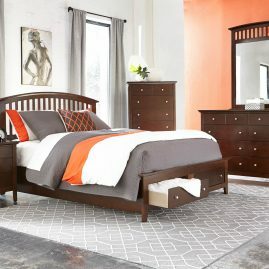 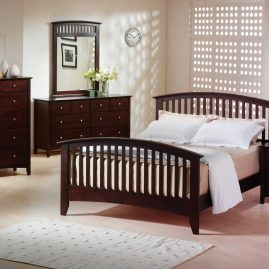 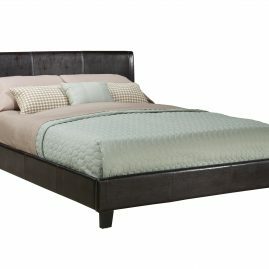 Add warmth and rustic design to your own bedroom with the Jax collection. 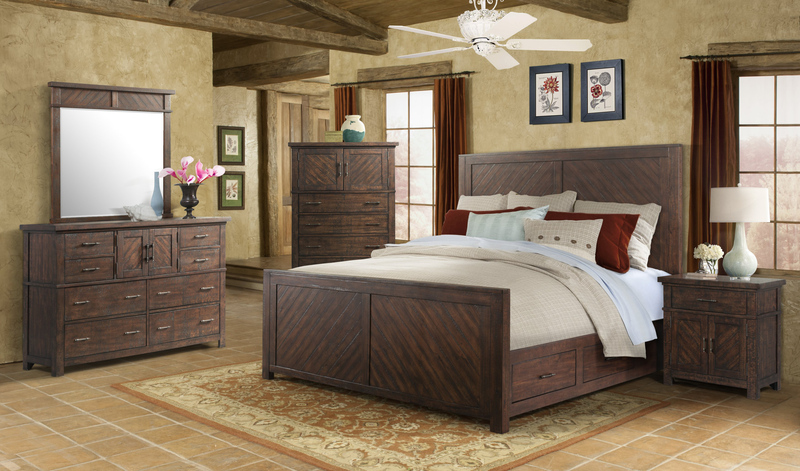 Dressed in a warm, smoky walnut finish, this set features rich distressed wood-grain detail and a sleek wood panel design. 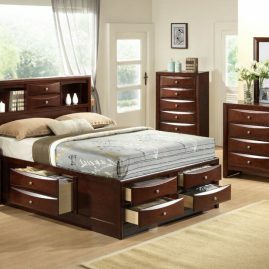 Spacious cabinets are included in all case pieces to help you stay organized.